Oscar the cat has a very special skill. 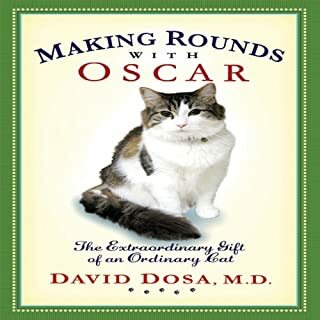 An otherwise ordinary cat—he'd sooner give you his back or a sideways glance than curl up on your lap—Oscar has the uncanny ability to predict when people are about to die. Adopted by staff members at Steere House nursing home when he was a kitten, the three year-old cat has presided over the deaths of more than twenty-five nursing home residents thus far. This was an excellent, well written/spoken book. Performance is well done as well. It sheds light on the various stages of dementia, effects on family members, and care. Though not always easy to listen to and I would often get teary-eyed, I recommend this story if you are interested in medicine, care to learn or are aware of family struggles with dementia, care options, and effects of animals in our lives and the comfort they can bring. 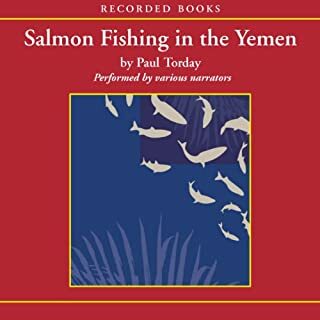 The performance of this novel is excellent and the story is entertaining and thought provoking.